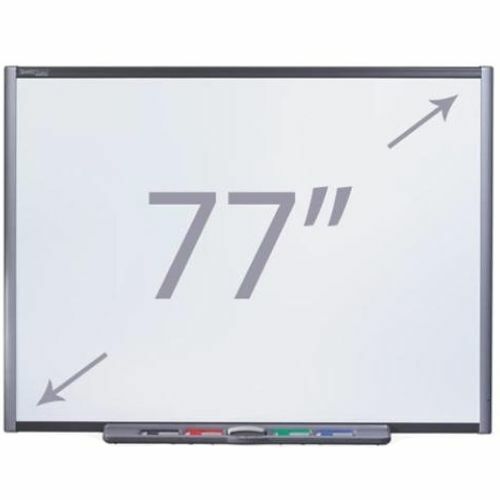 The SMART Board M680 interactive whiteboard features a durable interactive surface, two damage-resistant pens and SMARTs proprietary Digital Vision Touch technology. The SBM680 supports dual touch, dual write and intuitive gestures, such as toss, rotate and zoom. Available with multi touch operating systems, such as Windows 7 or Mac Snow Leopard. SMART Notebook collaborative software is included. Also SMART Ink which smooths out the appearance of the digital ink , improving the legibility of your handwriting. The ink becomes an object that you can move and manipulate.